People get in line for a bite to eat before the night campdraft rodeo competition in the Australian heartland. 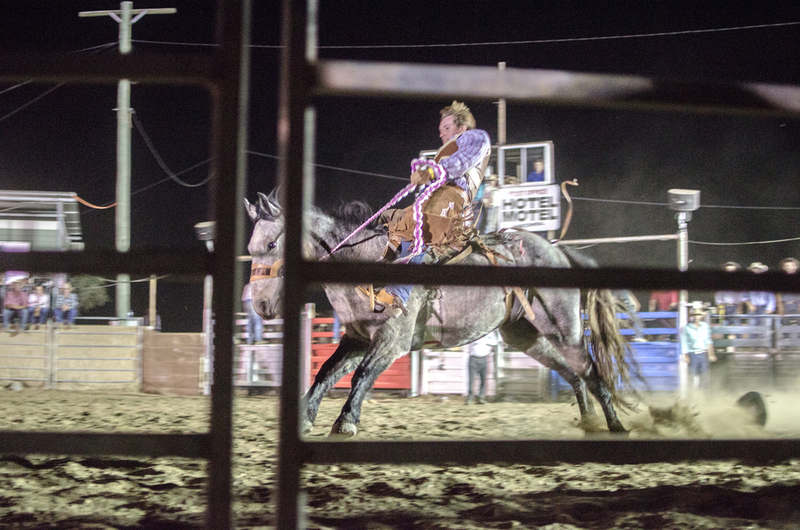 With a population of 188 the town makes rodeo one of their main attractions during the year. The audience interacts with the competitors by cheering them on and providing them with drinks. And as man dominates beast, the line between who is the aggressor and the victim becomes blurred. People park their trucks and utility vehicles around the arena to watch the action.